On Friday 30 January 1948, Gandhi woke up at his usual hour, 3:30 a.m. After the morning prayer he put the final touches to the new constitution for Congress which he had been unable to finish the previous night. The rest of the morning was spent answering letters. Someone mentioned the fact that despite his poor health he was working incessantly. 'Tomorrow', he explained, 'I may not be here'. Gandhi would not permit those who attended the prayer meetings: 'If I have to die I should like to die at the prayer meeting. You are wrong in believing that you can protect me from harm. God is my protector.' 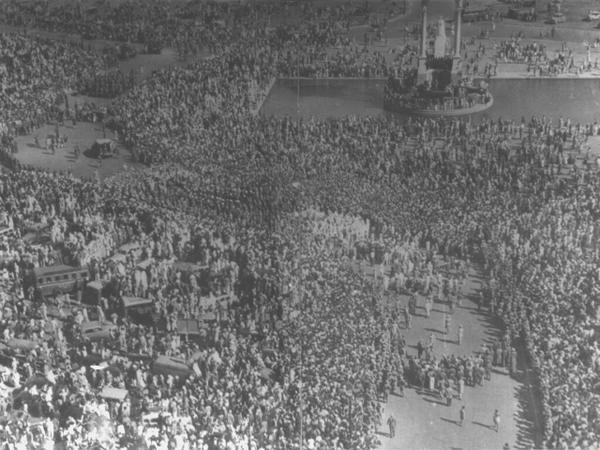 Mahatma Gandhi's body lay on the pyre with his head to the north. In that position Buddha met his end. 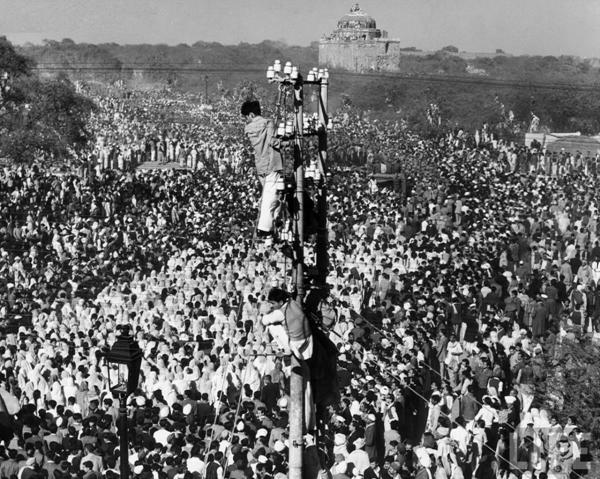 At 4:45 p.m., Ramdas, the third son of the Mahatma, set fire to the funeral pyre. The logs burst into flames. The vast assemblage groaned. Women wailed; men wept. The wood crackled and seethed and the flames united into a single fire. Now there was silence. Gandhi's body was being reduced to ashes and cinders. A nation's father was dead.